Hi, I'm an author and freelance writer living in Sydney. My interests include psychology, parenting, women's issues, Christianity and the great outdoors. If Sydney's historical buildings are of interest to you and you have little ones who enjoy exploring playgrounds, then Holroyd Gardens (Merrylands NSW) is a place where you can find both! Spanning over 8 hectares Holroyd Gardens features 2 playgrounds, sheltered areas, walking tracks, electric barbecues and a bicycle training track for children. The bicycle training track, with miniature road and traffic signs, is a unique feature of this park and the only 'road' I allow my son to toddle on, without me having to be right beside him. Surrounded by trees and greenery it emanates a 'garden' atmosphere and provides an imaginative play opportunity for children. 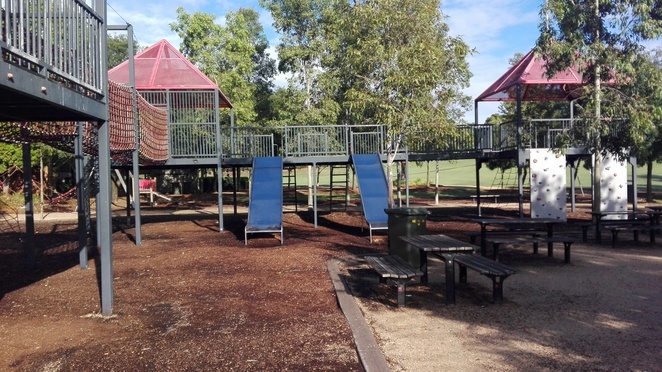 The adjoining playgrounds at Holroyd Gardens have many unique features, such as large wooden forts with slides and a high, large sized net-bridge. If you have a little adventurer, be prepared for some climbing yourself (to be safe I recommend you wear joggers and pants) as for many young children the high net bridge looks too appealing to resist but many little feet still need mum's helping hand due to the large netting. A short walk from Holroyd Gardens is a fascinating surprise – a historical industrial brickworks factory (we only discovered it recently as on previous occasions we just couldn't get past the varied play equipment and the bike training track – without protest). Known as the Hoffman Kiln and Chimney, originally owned by Goodlet and Smith Ltd Brickworks, its structure has been estimated to date back to 1878. 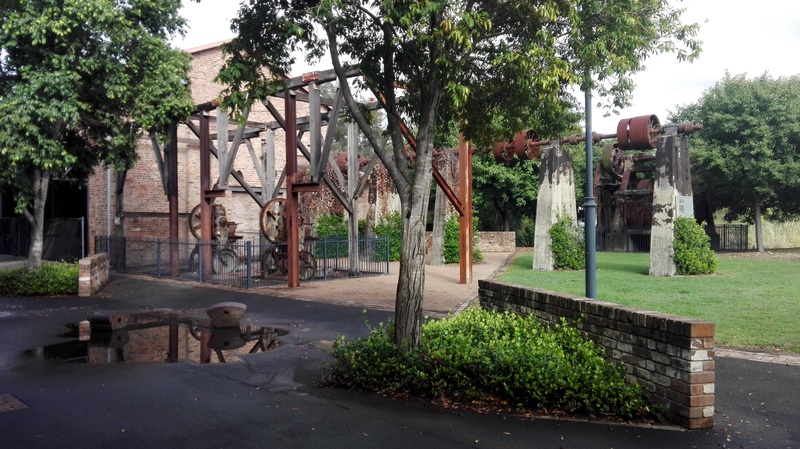 Holroyd Gardens were once a clay excavation site that supplied natural resources to this brickworks factory, which in turn helped to resource the building industry throughout Sydney. This historical brickworks factory adjoins a small lake and is surrounded by well-kept lawns and greenery. A nearby electric barbecue and large sheltered picnic area make this a unique venue for a family gathering. Whether you are looking for a unique family outing idea, a relaxing stroll in a park or a wedding venue, you will be sure to enjoy this diverse park with a glimpse into Sydney's industrial past.